One of our sponsors, hoster.by company, will hold a special event at LVEE, on Friday’s evening. 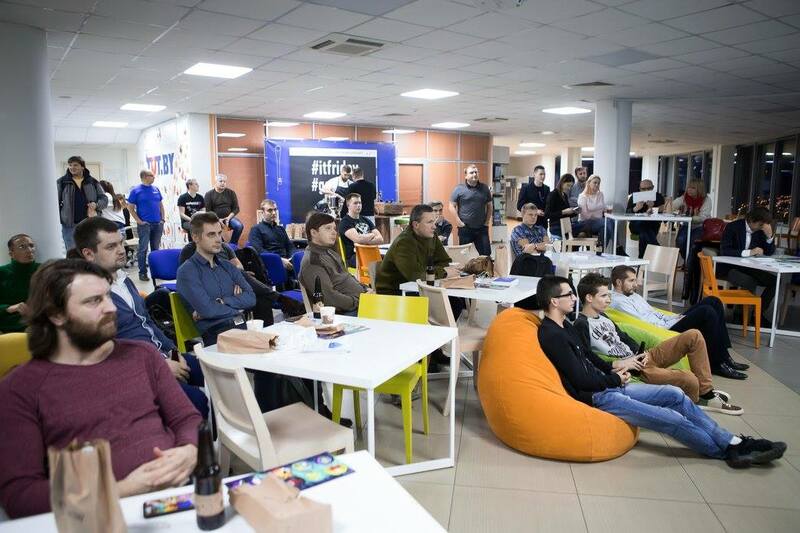 IT-Friday is a monthly event organised by hoster.by, and this February it will be held two times: on February 2 in its usual format, and on February 9 in Galaktika as a part of LVEE Winter 2018. This time, IT Friday will take place on Friday from 17.00 to 20.00 in the hall of Galaktika. The event is held in a special combined lightning talks and bar format, and will make use of a multimedia projector and a bar. At the bar, you will find beer as well as non-alcoholic hot drinks. The winners of the contests we will be organising will receive souvenirs. To learn more about IT-Friday, you can visit the office of hoster.by on February 2 and take part in IT-Friday #3. This time, the topic is “Pets vs Cattle” (quite a questionable title, we have to admit). To take part in it, you need to register at the hoster.by/friday of the event).